5 month old Baby Puppies in the showring, aren’t they are cute ? Smokey is Al Khabara Let Me Be Your Sensation from our L-litter by C.I.B CH Polo’s Kabik T’Sensation x C.I.B Al Khabara Graceful Me. Pictured 4 and 4,5 weeks old . This was International Show at year 2002 and Favourita the Queen of showring like she always showed off the style of high order and headheld proud, enjoyed to be in showring with Alex. But the pain of loosing you never goes away. And as the hours pass we think again of you. Maasu (CH Al Khabara Grace Of Love ) enjoying the large grassy ring yet before autumn, next outdoor showrings available not before May 2014. And yes, it is already autumn in air! Al Khabara Eleganzza maturing so beautifully and we are very excited with this easy moving girl from our E-litter. 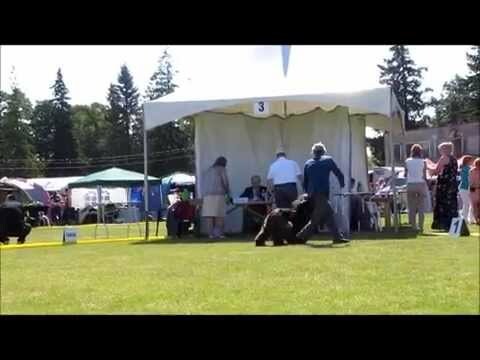 Here is a video of Eleganzza at her first show, she got Excellent and placed in junior class. We were amazed of her proud headheld and beautiful light springy movement. We took Maasu back to Al Khabara this spring because owner had no possibilities to have her so Maasu naturally came back to us and we are looking to find right forever home for Maasu. She fell love to her sister Lilli since first evening, they sleep and eat together and playing the afghan hound wrestling games that makes us drop to tear of laughing. Maasu is big friend also with Mr Mouzi who have been a bit lonely after his buddy Nikki left us in February. Maasu never been in show stack or in show collar and leash before and as soon the snow was gone we took her out of curiosity to see how she moves. Well we are amazed, but being honest, not very surprised – she has the head held and movement just like her litter mates has! Maasu has nice silky hair structure and very easy to care, tho she still need a bit growing hair out, I have been taking excellent care of her hair and she doing fine for 2 weeks between baths, so her coat is ready to grow well. Here comes video of Maasu in show ! Filmed in November 2012… very first exercising for her in leash and collar….learning the patience and the being team. NB: Eleganzza is is very nicely developed and has beautiful movement, she is show trained and we are excitedly waiting to see her in showrings this coming spring and summer. She might be available for right home. Read more about her. Mouzi – 10 year old – Mouzi is CH Karakush Its U Nanimous ( CH Karakush The Heat Is On x CH Karakush Unforgettable U ) Finally got the short videoclip, filmed at Mouzi’s 10 year birthday at 24.February, uploaded. It was very cold day, sunny but freezin’ cold. -10C or even more, so we got only this short video but we made lot photos, read about Mouzi and see lot photos in our previous posting ! 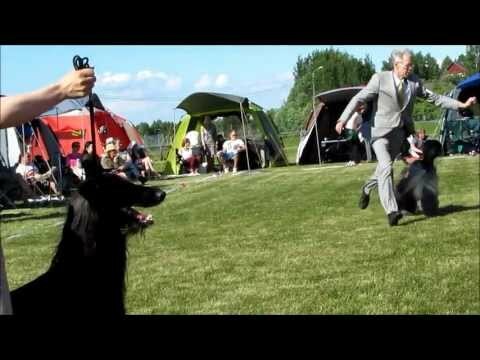 Great video of Darrah (CH Al Khabara Darrah ) having playtime with her daughter Lilja at Zandirah kennels. Her owners told Darrah mostly loves lounging on couch at daytime but when she get the game bug then no matter what she enjoying it whole heartedly as you can see from this mobile video. 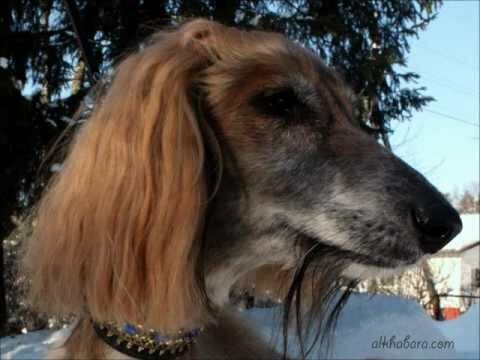 Darrah is 8 years old and by the way in veteran age, she is full littermate to the Dahoak and Dhabi-Dhurrah and lives in Sweden. Many thanks to her owners Carolina and Benita for this entertaining video clip!